I was going to send out a note today where I dissect one of my favorite Bruce Kovner quotes and then get into how we can use Brier scores to make better probabilistically weighted market bets and combat two of our worst enemies, overconfidence and confirmation bias — the recent Invest Like The Best podcast with Michael Mauboussin dives into this (I highly recommend you give it a listen). But, there’s a highly actionable setup triggering in the market so I figured I’ll put that note out to the Collective later this week and talk bonds and utes today. The setup is for a swing trade. 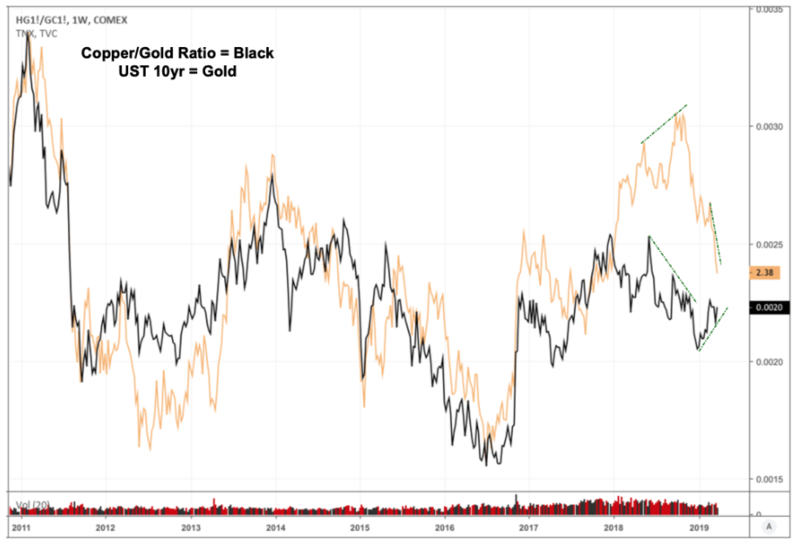 Specifically, for going short bonds (long bonds) and short utes (XLU). I’m neutral on US rates longer term. Actually, that’s not true. I think they’re probably headed lower (bonds higher) in the quarters ahead. Regardless, they’ve set up for a decent tactical short opportunity. Starting with the 10-year. We can see that it’s pierced its upper weekly Bollinger Band near its 200-weekly moving average and then reversed. The highlighted bars show each time this has occurred over the last 3 ½ years. Here’s a look at the same chart but on a daily. 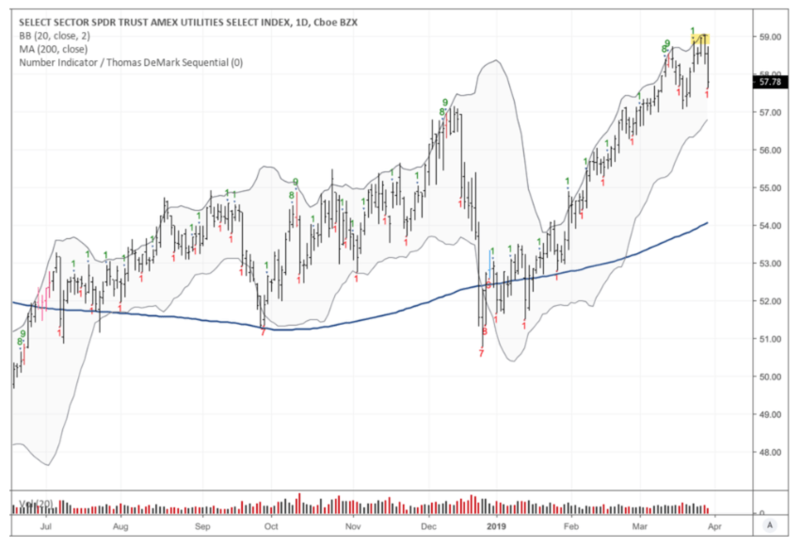 It’s also pierced its upper Bollinger Band on the daily timeframe and has completed a Demark 8-count. 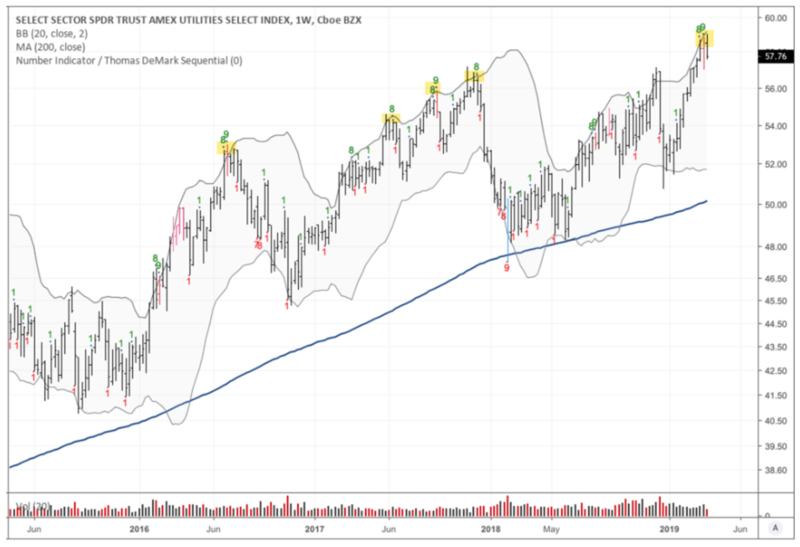 The technical setup looks even better on utes (XLU) — utilities tend to track bonds as the sector is extremely sensitive to interest rates. 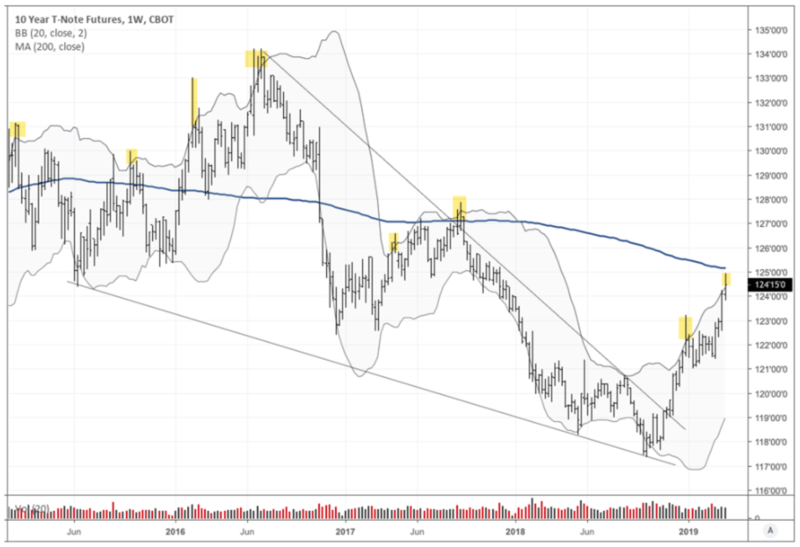 Check out the following weekly chart of XLU. 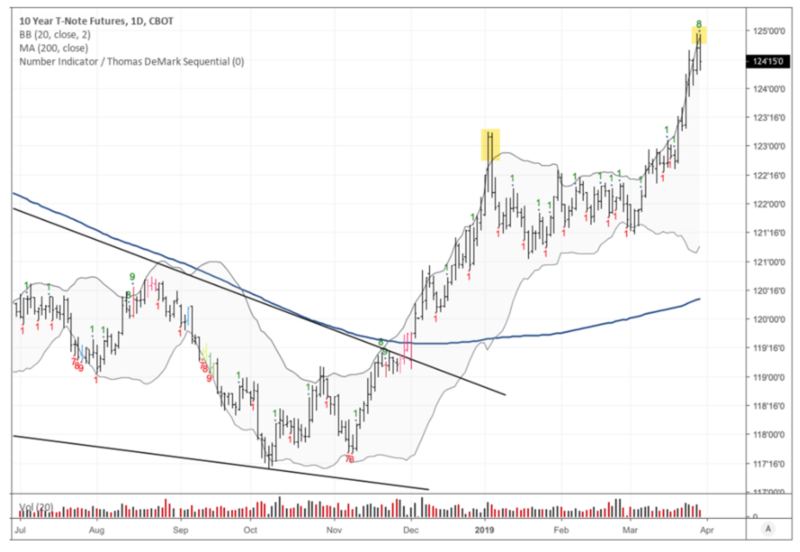 It pierced its upper Bollinger Band then reversed and completed a weekly Demark 9 count last week. The setup on the daily timeframe is similar. 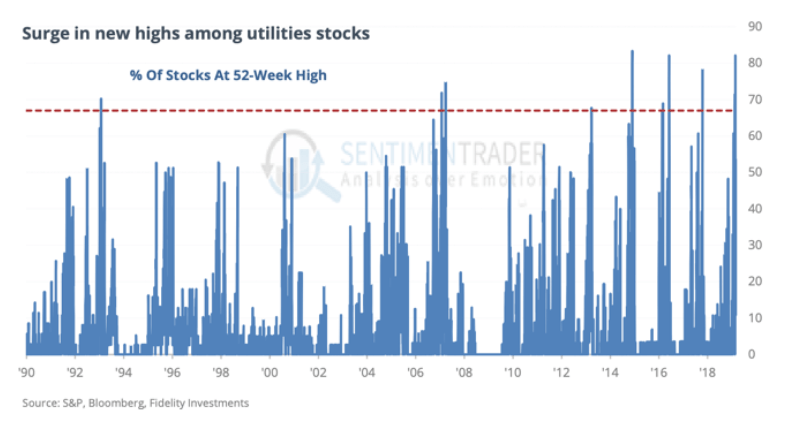 A recent report by Sentiment Trader shows that just recently, more than 80% of utility stocks hit new 52-week highs. This is one of the sector’s most extreme momentum readings in three decades and tied for its second highest since 1990. The following table from that same report shows just how hard it is for a defensive sector like utes to maintain this kind of momentum. 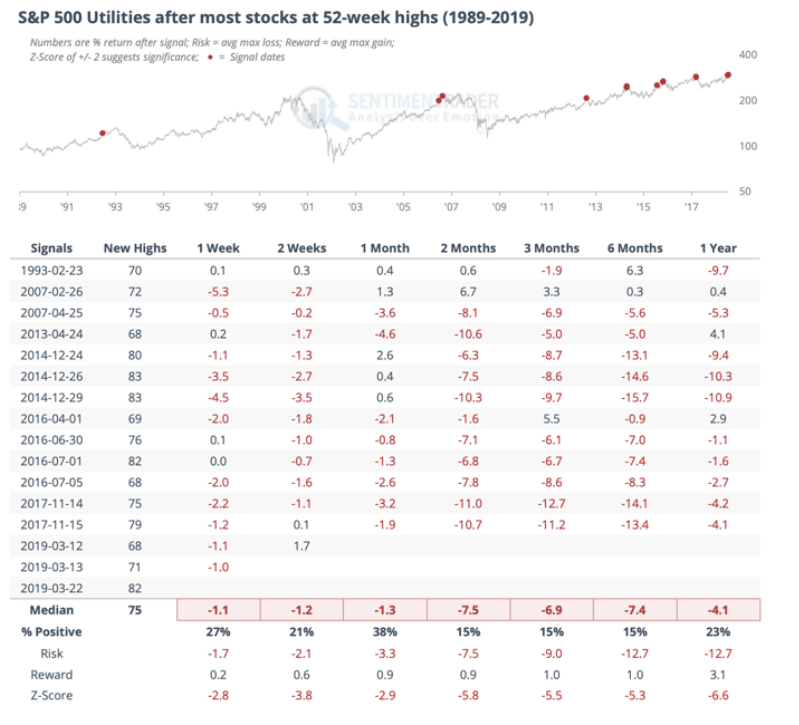 Across all time frames, utilities struggled to gain any amount, much less hold onto any gains that might pop up. Over the next 2-3 months, only two of the dates managed to show a positive return, and those gains were brief and ultimately erased. The risk/reward ratio for the sector is one the worst for any study we’ve seen in 20 years. In a generally rising asset like stocks, it’s awfully rare to see a negative risk/reward ratio over a multi-month period, much less one shows as limited upside as this one, and such severe downside. Bonds compete with stocks for capital flows. When stocks selloff, capital diverts to bonds in search of safety and vice-versa. The fundamental and technical picture still favors higher US equities, imo. A move up here in stocks should drive a reversal of some of the recent move in rates. This makes short utes/bonds a pretty good tactical short opportunity. On an unrelated note, I’m currently working on the MIR (our monthly Market Intelligence Report). We’ll be focusing on two areas of the market that I’m most excited about; Ag and energy. There’s a number of trades to be made off these two macro themes. But there’s one that is actually a unique play on both. It’s an equity trading at low multiples of cash flow with a rock solid balance sheet and massive upside potential. I’m looking forward to sharing it with you and hearing your thoughts. Only Macro Ops Collective members will receive access to my ag and energy trades. If you’re interested in checking them out be sure to sign up for the Macro Ops Collective by this Friday at midnight!